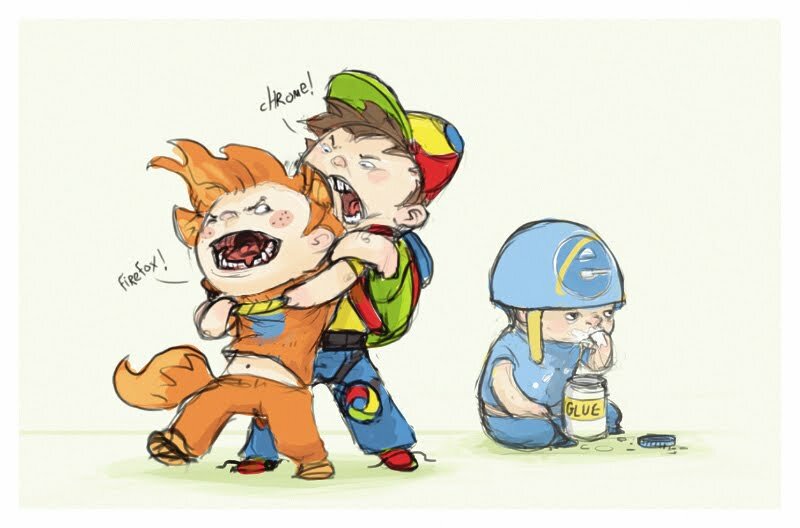 This cartoon sums up the browser wars pretty damn accurately. This one comes from Crystal and is IMNSHO bloody well spot on! I was just thinking: If you’re viewing the internet with Internet Explorer, you’re doing it wrong. Yup, I’ve been using Opera, Firefox & Chrome for years. I tried using the IE the other day, and the thing just felt broken. Just bad UI experience.